Hours: Wednesday - Monday, 10:00 a.m. - 3:30 p.m. Tasting by appointment only. Pronounced via-"dare," VIADER is a leading Napa Valley first growth wine estate established in 1986 by Delia Viader, and recognized around the world for consistently producing sought after Bordeaux style red wines. Inaugural release 1989 VIADER Proprietary blend of 60%Cabernet Sauvignon and 40% Cabernet Franc. Argentine-born Delia Viader came to the United States as a post-graduate student, holds a doctorate in Philosophy, and pursued advanced business studies at MIT. VIADER Vineyards is located on the steep rocky slopes of Howell Mountain, 1300 feet above the Napa Valley floor, approximately 3 miles northeast of St. Helena. Our organically farmed vineyards follow a unique and distinguishable European design layout pioneering high density planting "non-terraced" and at a very steep angle allowing us to produce our signature VIADER blend of Cabernet Sauvignon and Cabernet Franc, in addition to "V" a Petit Verdot blend, and Viader "Black Label," a Cab/Syrah/Malbec blend of utmost elegance and concentration of flavors. We also produce DARE by Viader a 100% Cabernet Franc from a certified Bordeaux clonal selection.. Guests are welcomed for tours & tastings by appointment only every day except Tuesdays from 10am to 3:30pm. Space is very limited; please make a reservation to join us. Our wines are as breath taking as the panoramic views. Relax tasting our mountain-grown wines on the enchanting terrace. Two of Delia's four children — Alan (Vineyard & Winemaking ) and Janet (Communications) — are involved in the family business, along with daughter-in-law Mariela, a professionally trained chef. From our family to yours, Salud! When you visit the VIADER Tasting Room, it is like you are visiting our home. 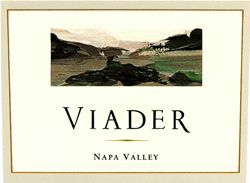 The Viader family's residence, vineyards, caves, and Tasting Room are all on the VIADER estate. The Tasting Room is usually run by our staff of certified sommeliers who are passionate about educating our guests about our wines as well as answer general questions about wines. Our wine tasting experience is 90 minutes and are by appointment only. Open Wednesday through Monday starting at 10am through 3:30pm. We can comfortably accommodate parties of 8 or fewer, with apt outdoor patio or indoor seating. Guests can enjoy the view of the vineyards, the Mayacamas Mountains, and the valley floor while they sip our wines at a leisurely pace. Wine Education: Friendly staff of certified sommeliers love to educate our guests on our wines and help guests with any wine questions they may have. To join the wine club, visit www.viader.com or call 707-963-3816. Basic allocation subscription is 2 shipments of 6 bottles per shipment in Spring & Fall. By invitation only. Viader Vineyards & Winery is certified under the Napa Green Winery Program by the Napa County Department of Environmental Management (DEM) and the Association of Bay Area Government’s (ABAG) Green Business Program and completed all the regulatory components needed for environmental sustainability. These components included developing water and energy conservation methods, preventing pollution, and reducing solid waste. In addition to developing sustainable winery practices, this program is set to become the standard for the state of California. Viader Vineyards & Winery is certified under the Napa Green Certified Land Program. Viader Vineyards & Winery has created and implemented a customized farm plan with measured results that addressed all aspects of its property, vineyard land as well as non-farmed land, including practicing soil conservation, water conservation, stable drainage, riparian corridor enhancement, fisheries and wildlife habitat enhancement and long-term improvement and sustainability.